The 6ix is real and here to stay as Dancehall deejay Squash continues to make strides in the music industry. The Montego Bay-based entertainer has been getting a lot of love from fellow artistes since his released from police custody last month. 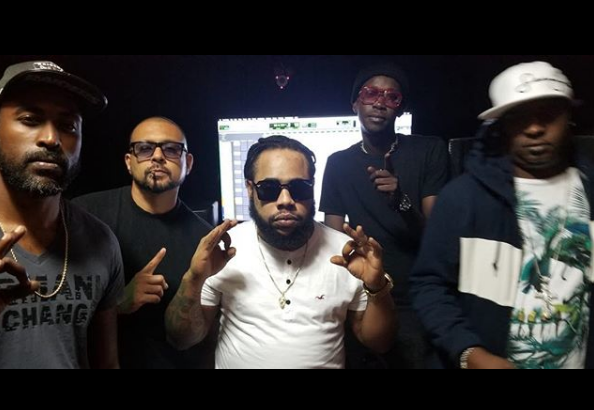 Following a huge endorsement on Instagram from Vybz Kartel, the “Money Fever” deejay was spotted in studio with Grammy-winning recording artiste Sean Paul, Chi Ching Ching and Shauna Chyn. According to sources close to Squash, Sean Paul personally invited the deejay to his Dutty Rock Productions studio. It remains unclear if they recorded any music together as sources are being tight-lipped on upcoming projects. “We can’t too release any information about what is to come but just know that the 6ix Boss is loving his freedom and making use of every minute,” sources said. Squash, whose given name is Andre’ Whittaker, had been held under the Emergency Powers Act since August 8, when he was detained during the state of public emergency in Montego Bay.